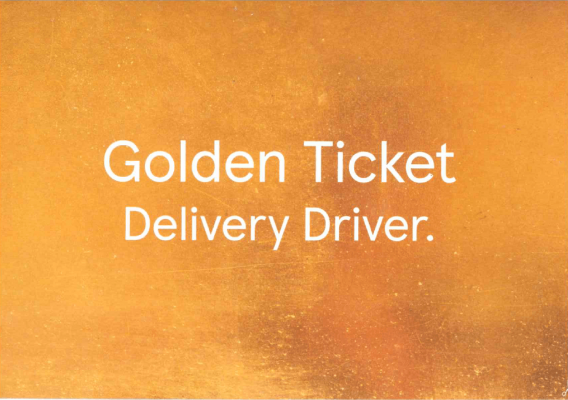 We are proud to announce that one of our experienced HGV Class 1 drivers has received a Tesco Golden Ticket Delivery Driver Award. Congratulations, Steve Spence. We appreciate your continued efforts. Steve has been driving with Moran Logistics for many years and continues to deliver excellence to all our customers. It is a huge boost for him to receive recognition from Tesco who have acknowledged his positive and cheerful nature. Being a driver is a great job, but can definitely prove to be demanding at times. It is inspiring to see that Steve handles the day-to-day demands with a smile on his face. Steve said: “I enjoy working with Moran Logistics and I am pleased to see that my continued efforts are recognised by our customers. Thank you for the award, Tesco. I will continue to deliver this level of excellence on each and every drop”. Moran Logistics always aim to provide the very best service. This is a clear example of this being achieved. Thank you Steve. Keep up the good work.